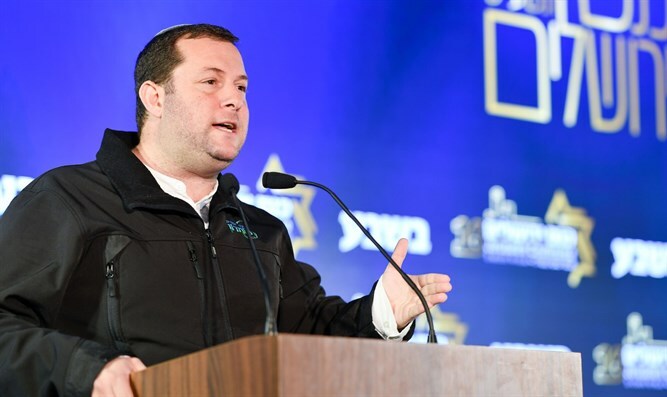 Samaria Regional Council head Yossi Dagan warns battle of egos between right-wing leaders could lead to repeat of 'Oslo disaster'. Samaria Regional Council head Yossi Dagan pleaded with the religious Zionist parties to unites ahead of the upcoming elections. Speaking at the Jerusalem Conference Monday, Dagan told those present that another term of right-wing rule could lead to a million Jews living in Judea and Samaria. "It will be irreversible and no one will think of uprooting the Jews from these areas of the land," he said, calling on the religious Zionist public to to force the right-wing party leaders to unite.. "We were there at the crossroads when we shouted helplessly and all because of personal games the Oslo disaster was brought about. We have the power to stop it [from happening again]. We all have to put pressure on the leaders to unite." The National Union party issued a statement on Monday announcing the renewal of contacts for a joint run between the party and the Jewish Home Party. A short while later, the Jewish Home issued a similar statement. “A short time ago, people close to Rabbi Rafi Peretz reached out to us and asked for a meeting, with no pre-conditions. After this, talks between the two parties were resumed, on the basis of joint leadership and equal partnership,” the National Union stated. The Jewish Home Party said in a statement: "As part of the efforts to promote negotiations between the Jewish Home Party and the National Union Party, the Jewish Home negotiating team approached its counterparts in the National Union today to meet on the basis of the items presented at the first meeting between the negotiating teams for the purpose of completing the procedure ". "As has been the case throughout the last few years, and from a public and public perspective, the Jewish Home negotiating team will do everything to reach a speedy agreement with the National Union that will ensure a significant representation of religious Zionism in the Knesset and in the next government," they added. The two factions, which ran together in 2013 and 2015, have struggled to come to an agreement for a third joint run, following the departure of former party chief Naftali Bennett. Last week, former IDF chief rabbi Rafael ‘Rafi’ Peretz was tapped by the Jewish Home to lead the party. Since then, however, talks with the National Union failed to yield an agreement for a joint run, leading to a total breakdown of talks over the weekend.